1995 - 1996 ES300 ALL ALL ALL ALL ALL ALL Some Toyotas & Hondas use a one-piece upper spring insulator & boot/bellows. Using this replacement boot/bellows requires cutting off & re-using the original upper spring insulator portion. 2001 - 2005 IS300 ALL ALL ALL ALL ALL ALL Sedan; Some Toyotas & Hondas use a one-piece upper spring insulator & boot/bellows. Using this replacement boot/bellows requires cutting off & re-using the original upper spring insulator portion. 1999 - 2003 RX300 ALL ALL ALL ALL ALL ALL Some Toyotas & Hondas use a one-piece upper spring insulator & boot/bellows. Using this replacement boot/bellows requires cutting off & re-using the original upper spring insulator portion. 1992 - 2000 SC300 ALL ALL ALL ALL ALL ALL Some Toyotas & Hondas use a one-piece upper spring insulator & boot/bellows. Using this replacement boot/bellows requires cutting off & re-using the original upper spring insulator portion. 1994 - 2000 SC400 ALL ALL ALL ALL ALL ALL Some Toyotas & Hondas use a one-piece upper spring insulator & boot/bellows. Using this replacement boot/bellows requires cutting off & re-using the original upper spring insulator portion. 1993 - 1995 MIRAGE ALL ALL ALL ALL ALL ALL w/ 6 inch Spring O.D. 1995 - 2004 AVALON ALL ALL ALL ALL ALL ALL Some Toyotas & Hondas use a one-piece upper spring insulator & boot/bellows. Using this replacement boot/bellows requires cutting off & re-using the original upper spring insulator portion. 1995 - 2001 CAMRY ALL ALL ALL ALL ALL ALL Some Toyotas & Hondas use a one-piece upper spring insulator & boot/bellows. Using this replacement boot/bellows requires cutting off & re-using the original upper spring insulator portion. 2000 - 2005 CELICA ALL ALL ALL ALL ALL ALL Some Toyotas & Hondas use a one-piece upper spring insulator & boot/bellows. Using this replacement boot/bellows requires cutting off & re-using the original upper spring insulator portion. 2001 - 2003 PRIUS ALL ALL ALL ALL ALL ALL Some Toyotas & Hondas use a one-piece upper spring insulator & boot/bellows. Using this replacement boot/bellows requires cutting off & re-using the original upper spring insulator portion. 1999 - 2003 SOLARA ALL ALL ALL ALL ALL ALL Some Toyotas & Hondas use a one-piece upper spring insulator & boot/bellows. 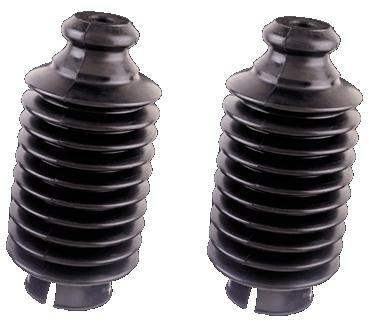 Using this replacement boot/bellows requires cutting off & re-using the original upper spring insulator portion.